Hi everyone! Today I’m going to talk about preparing for Regionals, what the format will look like, and give some deck skeletons plus analysis on the decks I mention. Be ready. Don’t change your deck the day before, or make your deck in the drive over. This may work for some, but generally it isn’t a good idea. Play what you’re comfortable with. Don’t play a deck someone at league said it was good. Know your meta. Don’t just assume you know what people are playing. Know your deck list. This is very important. 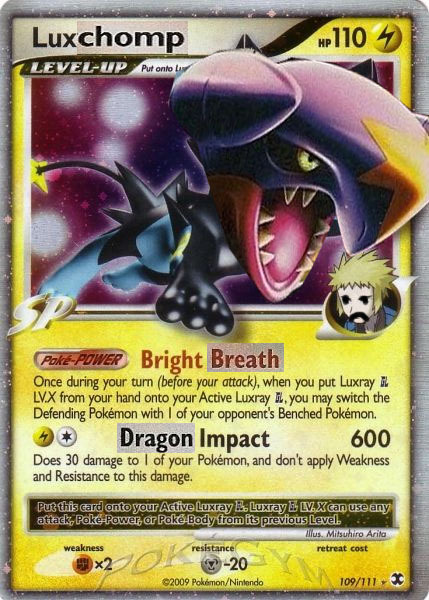 Without knowing your deck list, you might make a misplay that you will regret, such as Dragon Rushing with a Garchomp C when there are no more Energy in your deck. Don’t be too nervous. Being too nervous can make you misplay, and go too fast or too slow in a game. 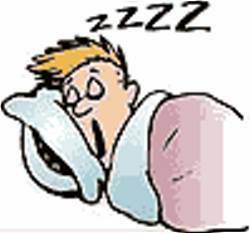 Go for a swim or hit the gym the night before so you get a good rest, and psyche yourself up for the next day. Make good plays. Think things through before you do them. Don’t just make a play that looks good at the time. Look ahead a turn when you’re not sure what to do. List the options, and see how it will affect you in the long run. I hope you guys follow all these tips… you will have a better day at your Regionals! LuxChomp can lose to a trainer lock, or Machamp. You can counter these though. Trainer Lock can be solved with a 1-1 Dialga G LV.X tech to shut of Vileplume’s Body, or a 1-1 Blaziken FB LV.X to drag out Vileplume and KO it. For Machamp, you can combine a Lucario GL and an Uxie Lv.X with a Crobat G drop for the KO, or snipe a Machop or Machoke with Drifblim FB before it becomes a Machamp. LuxChomp has great resistance against every deck in the format. You can tech a Roserade GL for Spiritomb, a Weavile G for LostGar, and there are lots more options too! The deck fairs well against everything. The strategy of the deck, is to hit fast, and get cheap KOes, to win the game. Machamp loses to heavy hitting attacks like Gyarados’ Tail Revenge, and it can be KOed by Uxie LV.Xs. There really isn’t a counter to these… you just need to set up faster and you’ll probably win. Sablock is a pretty iffy deck. If you don’t get the right start, you will lose. The ideal start is a Sableye, hence the name Sablock. Sablock relies on an early game disruption. Ways to fail with this is hitting double tails on a Cyrus’s Initiative, or getting a bad hand with Judge. Machamp is another problem. You can solve this by playing a 1-1 or 2-2 line of Honchkrow. You can easily KO Machamps this way.. This deck doesn’t have that many weakness, except for being outplayed. If you start slow, and don’t get set up, you will lose. PokeBeachGyarados can lose to a Luxray GL LV.X with a Lucario, and a Crobat drop. There is no real way you can counter this, so you just try to out speed them. Take early KOs, and they will fall behind in prizes, and lose. Gyarados has always been a good deck. Some think it doesn’t fare well against LostGar, but you can add Judge to ruin their hand early with a Sableye. You can get a Gyarados out in a few turns and be able to do 90-120 damage a turn. 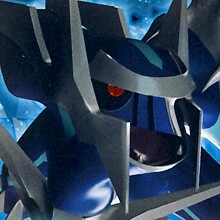 But on the other side, it can sometimes not beat LuxChomp, or Magnezone. PokeBeachThis deck is awesome. The Deafen lock hurts a lot of decks. It really hurts a lot of decks. DialgaChomp does have some weaknesses, however. It can lose to Machamp. A good counter for Machamp is the ToxiTank option, tech in a Skuntank G, Toxicroak G, Lucario GL and a Stadium, so you can get the KO or Uxie LV.X with a Lucario and a Crobat drop. DialgaChomp is a deck that hasn’t been thought about much lately. It does well against every deck. Get DGX up and tank, when it gets damaged, Warp Energy to Garchomp, and heal it! 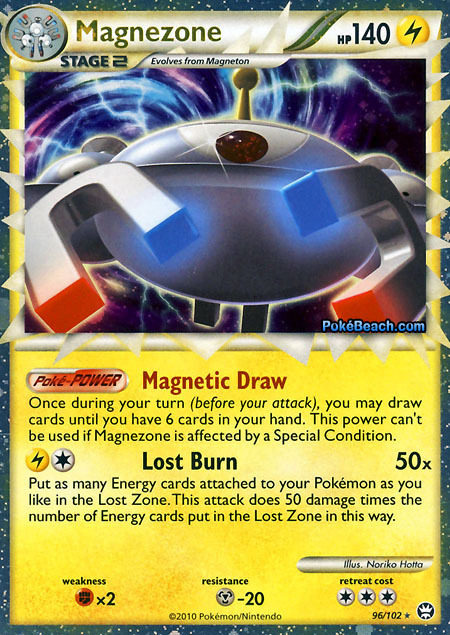 Magnezone is a newer deck, brought to our attention by the impressive 8-0 record at the European Cup. It’s quite fast, and hits hard. It did relatively well at our States. Now that you know the format and how to counter it, I hope you play the right way and beat your difficult matchups. Good luck at Regionals everybody! I think this was a good and well-timed article. Thanks! I think adam is right, the skeletons are not really good, they may be useful to guide you a bit, but not much more than that. They have too many tech cards for a skeleton list, and even the cards that are not techs have their counts messed up. Its still a readable article tough. Complete Set Review! Call of Legends! Epic! Wait, you run four Max Potion?